Last week 18 New Signs of Spring was the title of blog post. With all the spring holidays coinciding this week time is short for everyone. 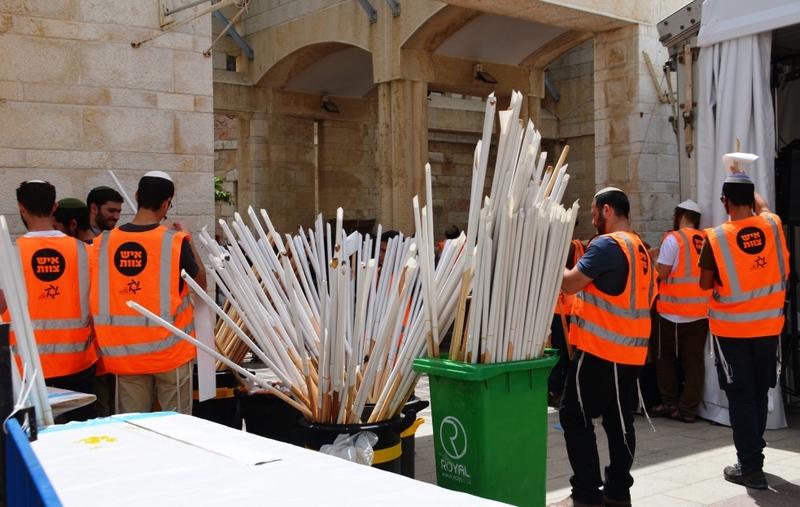 This short video of cleaning the notes from between the stones in the Kotel, the Western Wall, received dozens of shares on Facebook and thousands of views. I thought readers who are not on Facebook might appreciate seeing a bit of the spring cleaning. Listen to those birds! More on birds after the holidays. 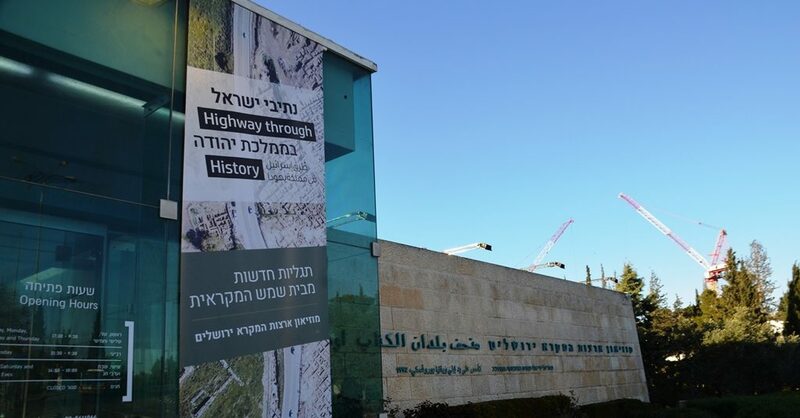 The Jerusalem Bird Observatory is to celebrate 25 years. Very different musical sounds from this light projection near Jaffa Gate for the Jerusalem annual spring festival Sounds in the Night in the Old City. Much more to share, but time is short and my kitchen must be cleaned. 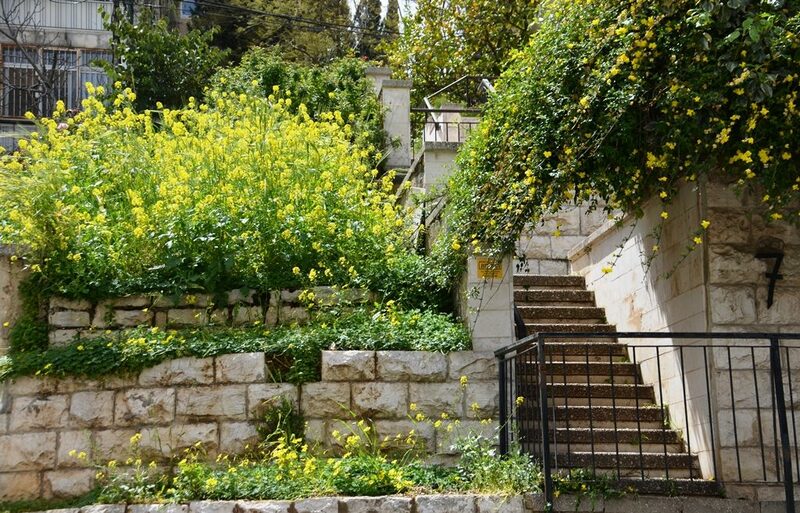 Happy Spring Holidays from Jerusalem to all! One day it feels like winter and then the next day feels like summer. These are signs of spring, besides the birds chirping before dawn. After unusually heavy rains, the spring weeds have reached new heights. 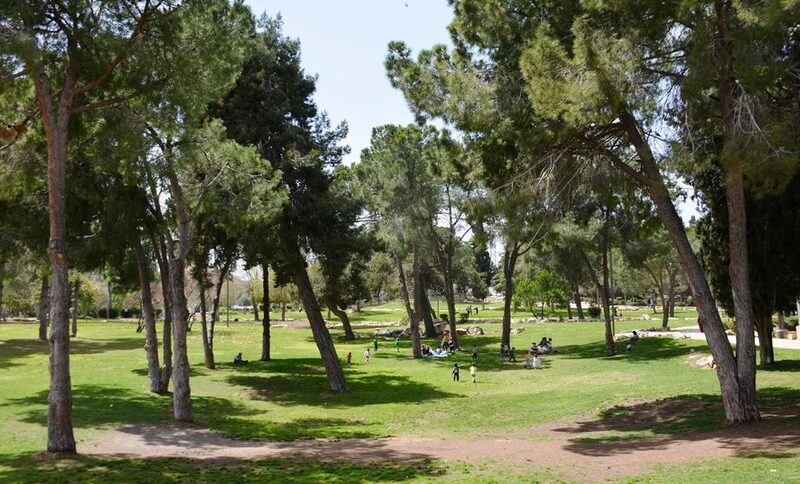 A favorite sign of spring was in a Gan Ha’atzmaut, Independence Park, of a group of young children playing and the sounds of their laughter. 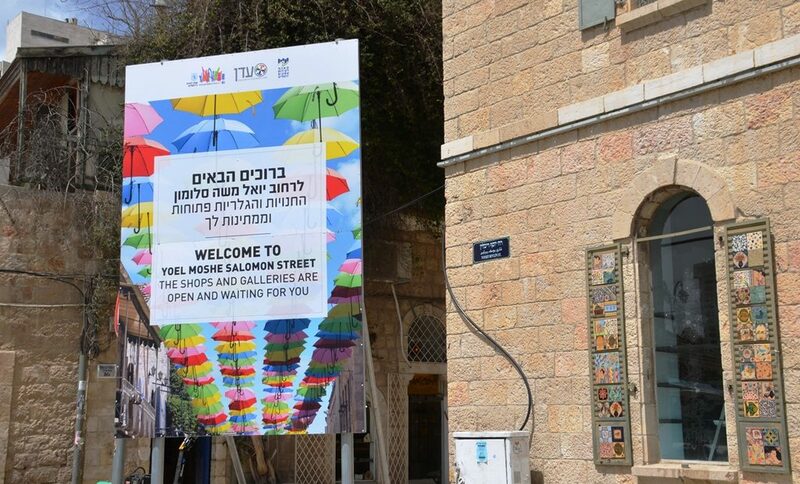 New signs have been posted for tourists, as this one near Yoel Salomon Street. Another new festival for spring at the old Hansen House. On Jaffa Road, the sun came out. Temperatures warmed. People left their jackets and sweaters at home and were wearing short sleeves. Good Deeds Day programs were held in several locations. 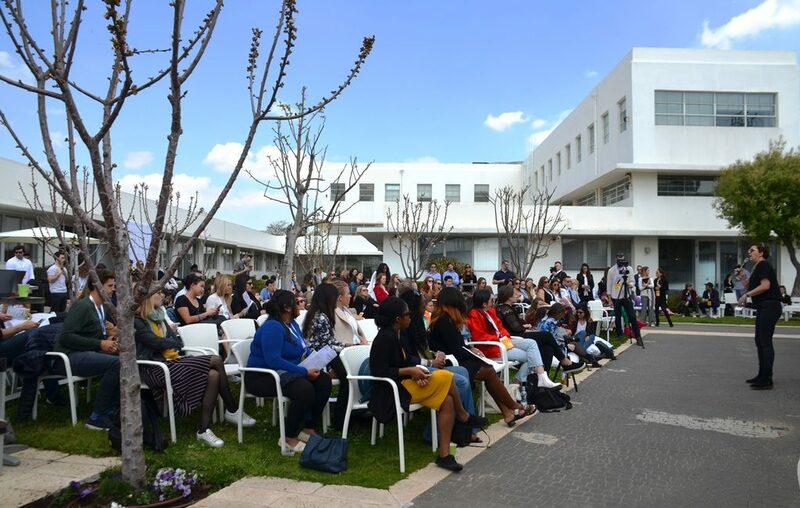 Hundreds of volunteers and organizations were honored at Heichel Shlomo. While thousands more volunteers participated in a program at First Station. 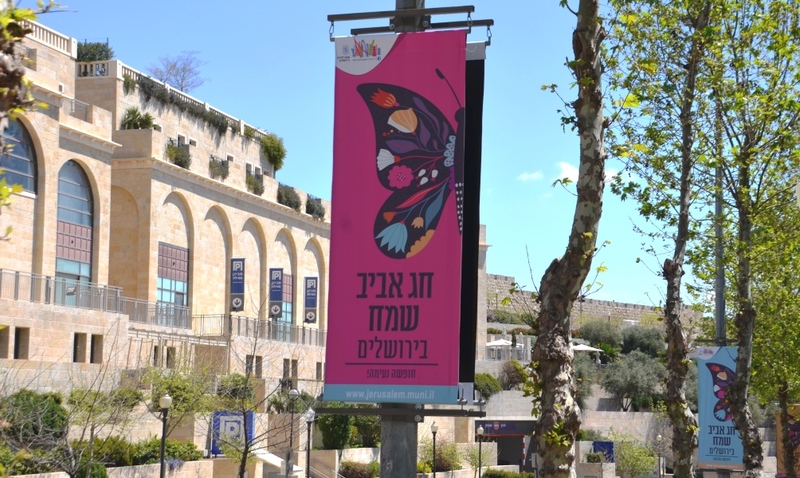 The Tower of David new exhibit for spring,”The Mount” has new street posters. 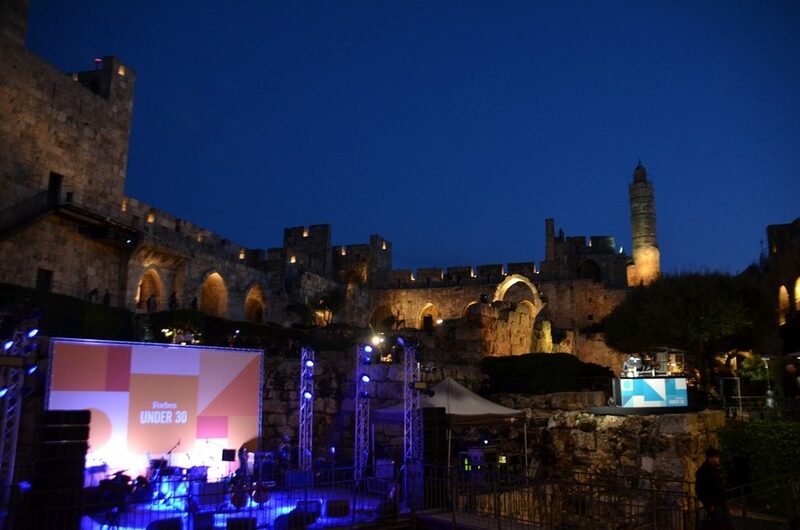 A favorite any time, but especially at night, the Tower of David was venue for the Forbes Women Under 30 Summit gala opening event in Jerusalem. 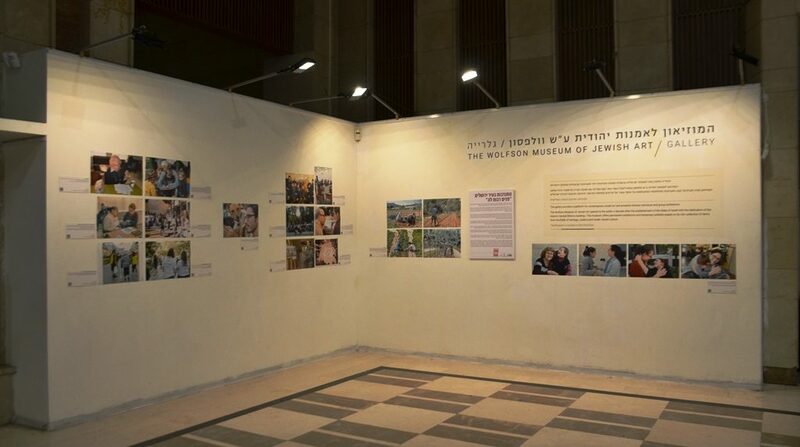 The Bible Lands Museum Jerusalem BLMJ has new signs for new exhibit. New ancient sites are constantly being discovered. There are new story hours for free in municipal libraries. 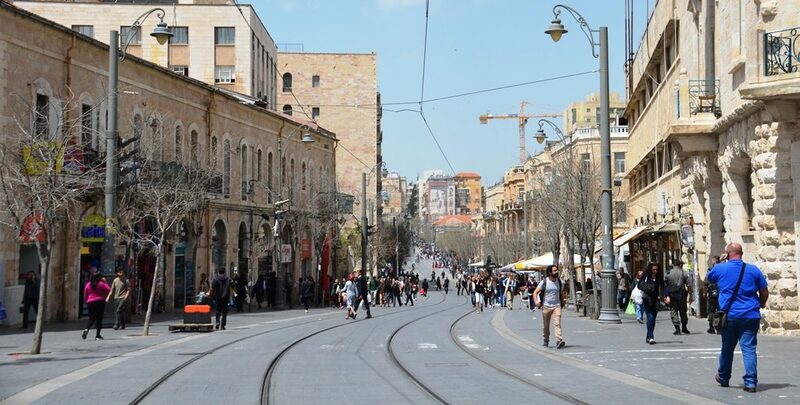 Special art tours and tours of Kikar Safra are being offered, some at noon in English. 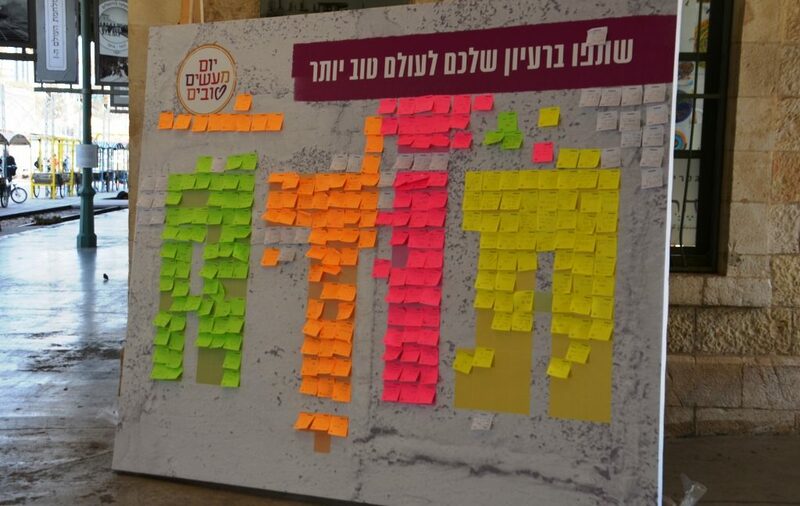 A list of 40 communities hosting communal seder meals has been published. 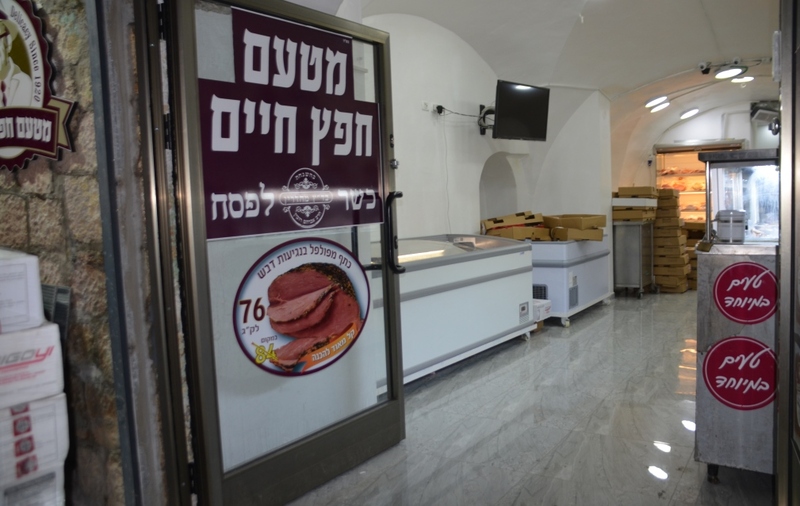 New signs for Kosher for Passover food popped up all over Jerusalem this week. This butcher shop had new sign for its new location. 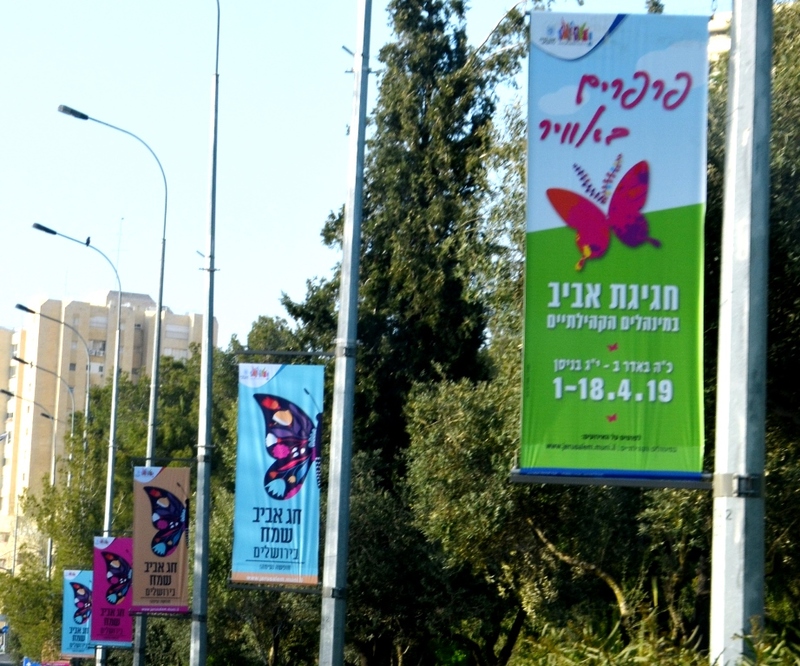 Kikar Safra, Jerusalem Municipal Square, had large signs for its holiday matzah baking. 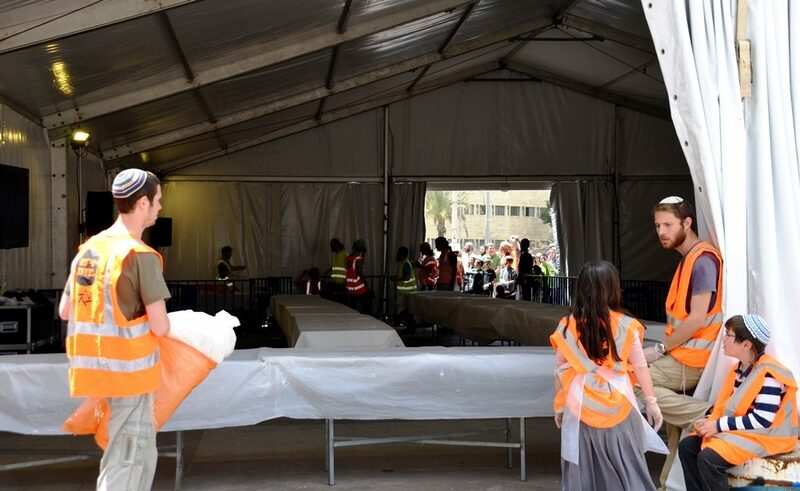 In a large tent, tables were set up for public to make their own matzah. Dozens of poles were ready to move the dough to be baked. 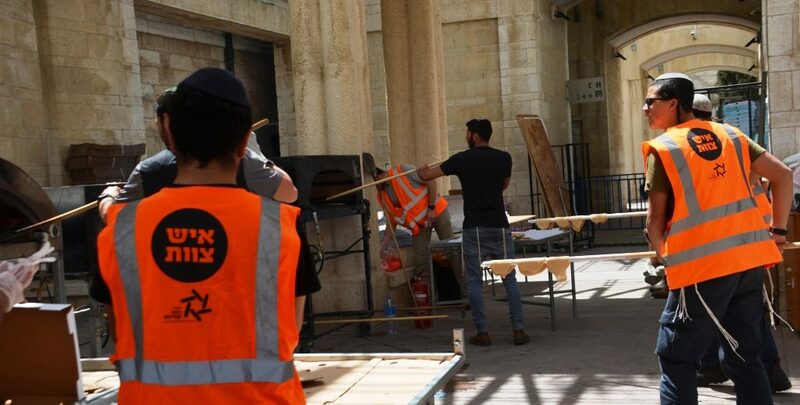 Four ovens were set up to bake the matzah quickly. 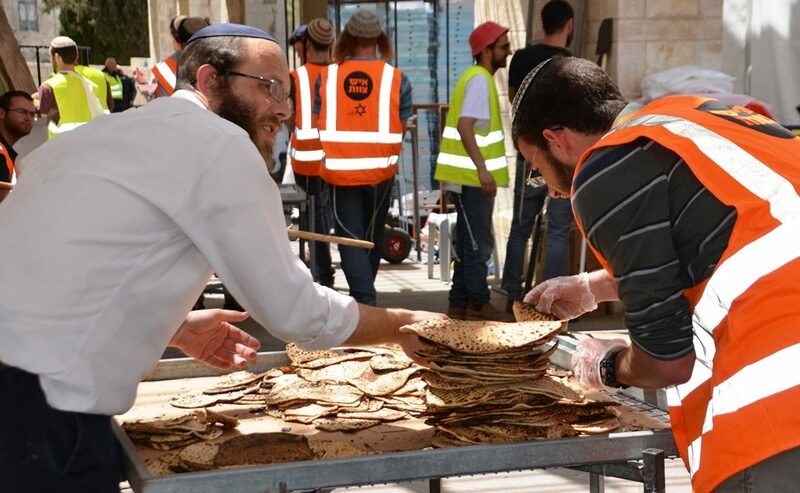 A woman asked for one, and received a matzah to take home. 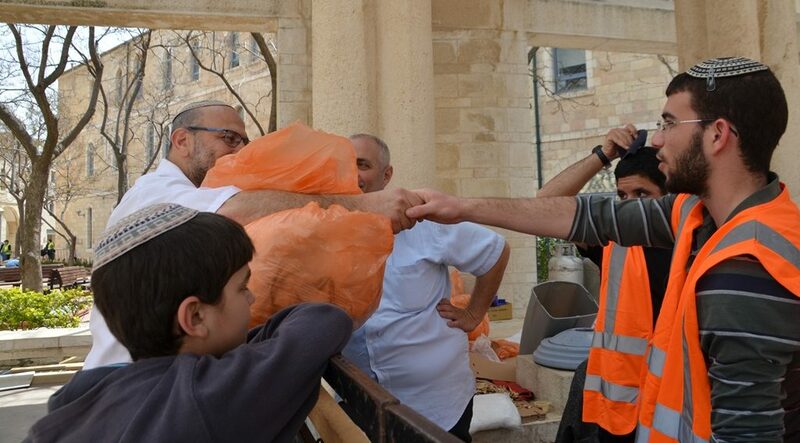 A group of young boys prepared enough matzah to fill a large bag. Each piece was inspected carefully to make sure it was good for Passover use. Oops, this one did not make it. 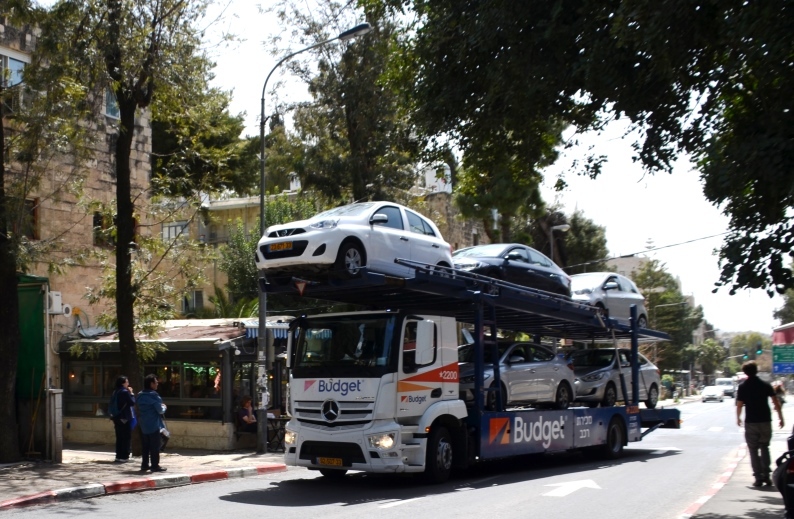 Another sign of spring in Jerusalem, the rental cars arriving. 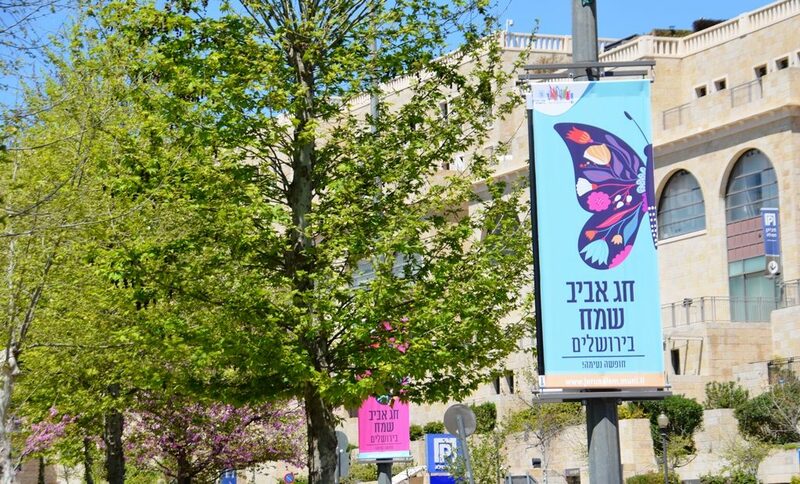 Signs are up over Jerusalem streets for spring celebrations. 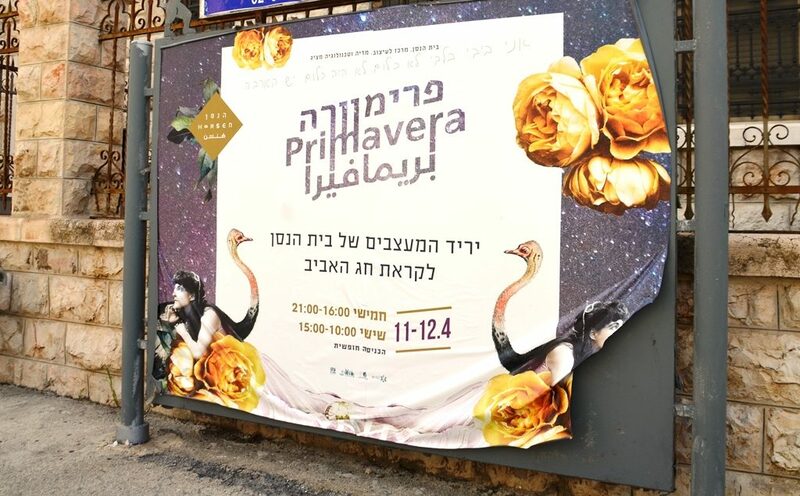 Passover, Easter, Orthodox Easter, Good Friday, Maundy, Ridvan Festival, Lailat al Bara’ah, Nabi Shu’eib, all these spring holiday fall in the same week this year. Happy Spring Holiday in Jerusalem. 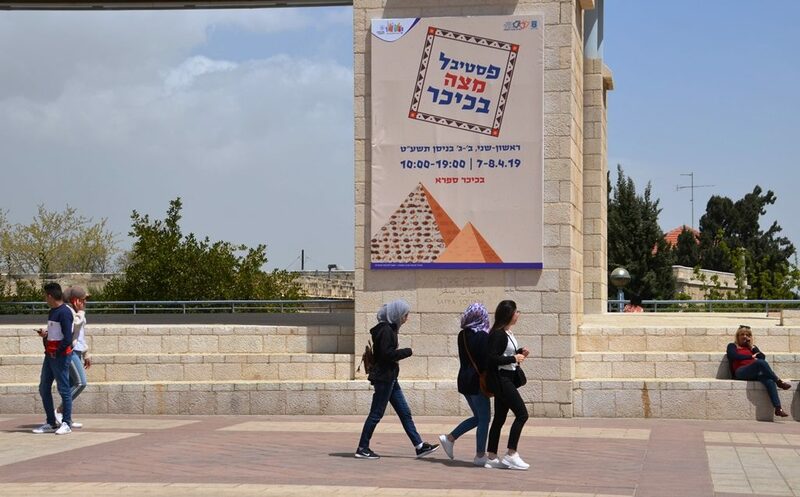 Looking forward to seeing thousands of spring holiday visitors on the Jerusalem streets. 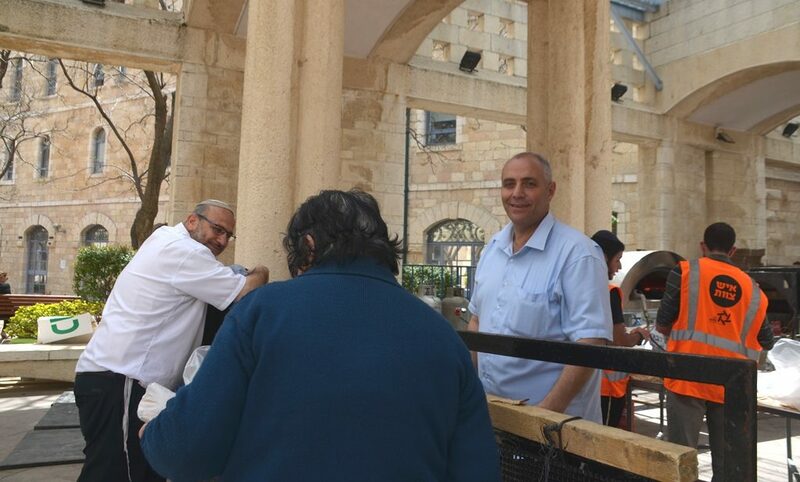 Supreme Court Judge Hanan Melcer, chairman of the Central Elections Committee has been busy. The media has been working overtime trying to explain the forty-plus political parties. A trip to the Modi’in Industrial Park last month took us to see the Central Election Logistic Center. 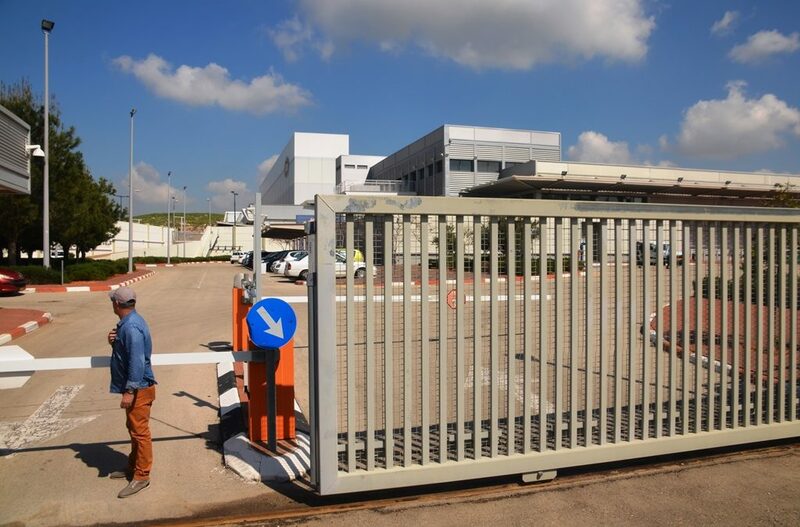 The security gate and entrance inside at the site is only a first step. This is the only slide I may show you from the introductory presentation. Not sure why as we were allowed to photograph everything else in the building. Perhaps it was because there were English spelling or grammar mistakes on so many slides? 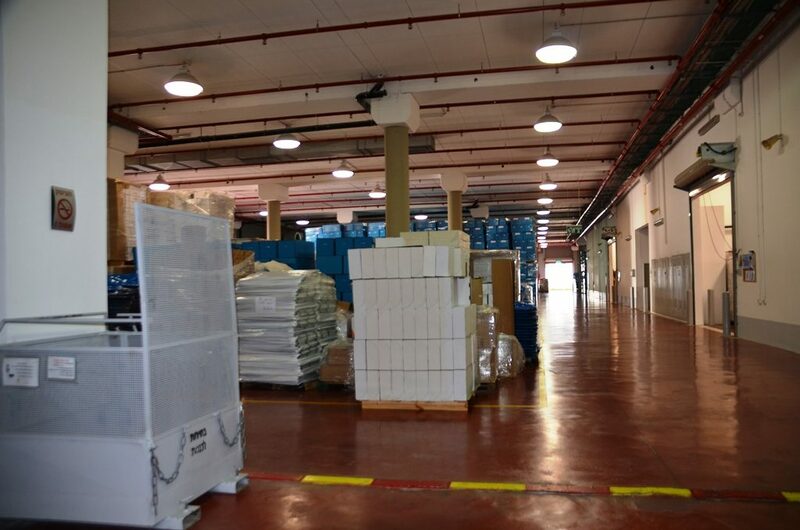 In operation since 2004, the election logistic center consists of this vast warehouse. 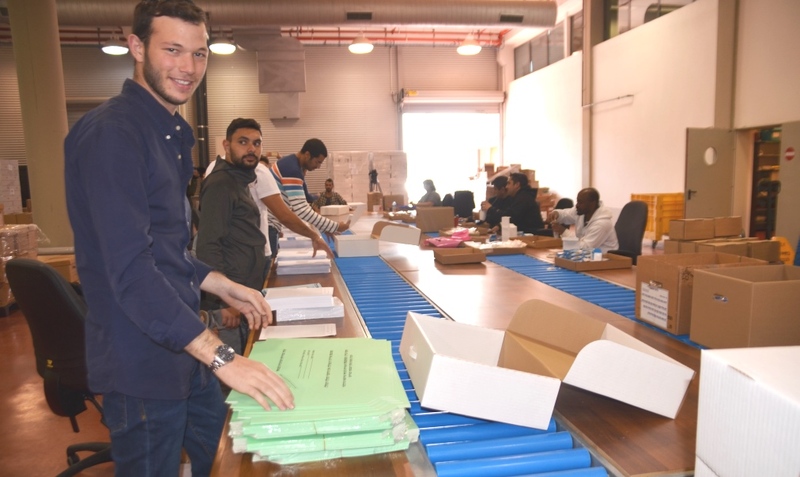 People working 24/6 to sort and pack the 12,000 paper boxes to go to polling stations. Counting paper clips for boxes. Hospitals and prisons receive boxes also. 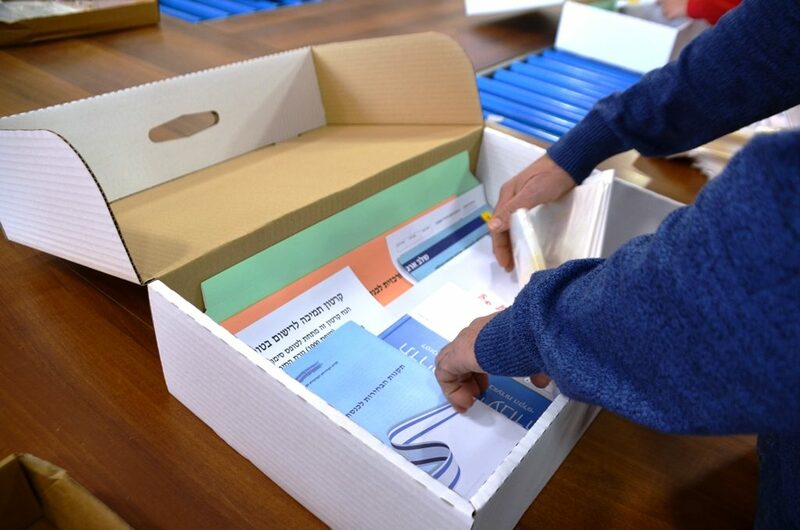 In hi-tech Israel, each piece of paper is put in by a person, and a real person checks the contents. For the army and overseas government officials ballots were prepared in advance, and organized from this control room. They received two envelopes, ten days before election. 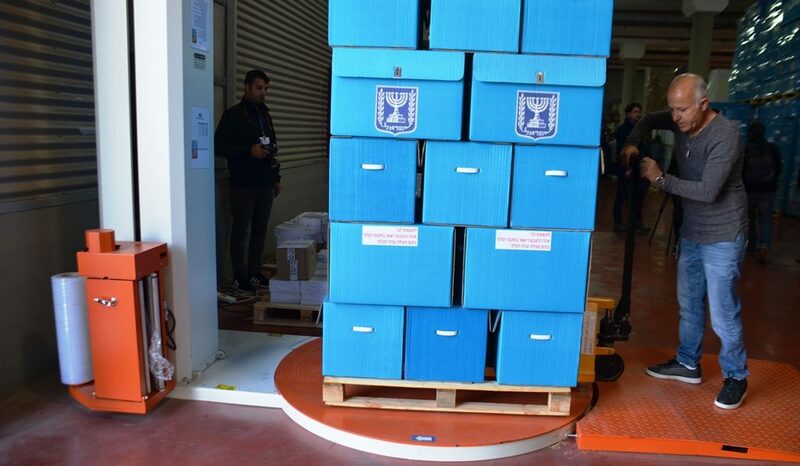 For the first time not only diplomats overseas can vote, but so can Jewish Agency employees stationed abroad. Papers, pens, envelopes and paper ballots, require 100% accuracy. Then they are wrapped up tight, and sealed with big rolls of plastic wrap. 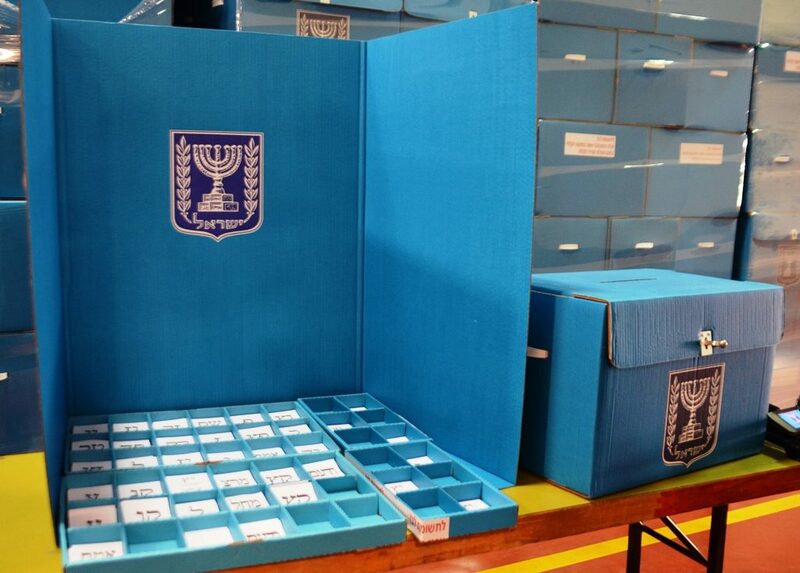 This election required new ballot boxes to hold all the parties. Transportation of the heavier boxes is just one detail of the massive project. 400,000,000 ballots, 140 million more than last election. There will be 250 tons of paper to recycle after it is all over. 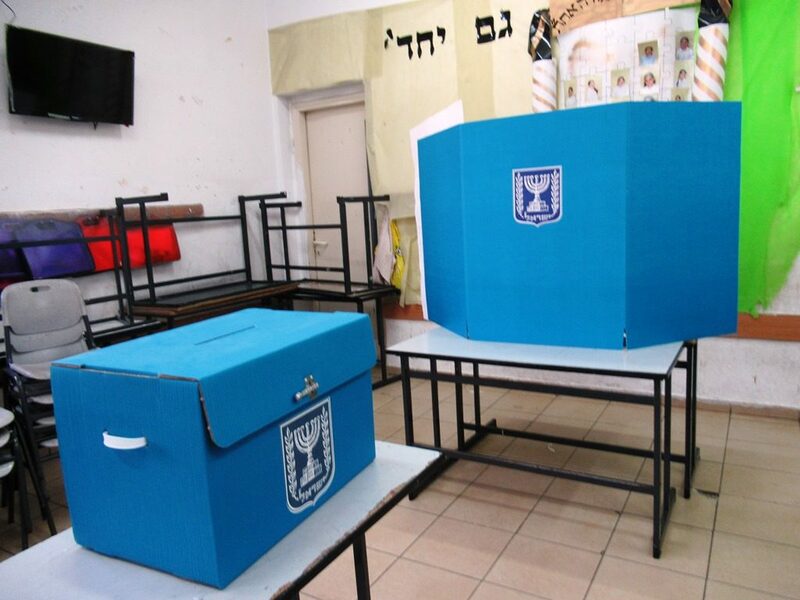 Israeli election day is an official holiday. Businesses are closed. Schools are closed. But national parks are open. 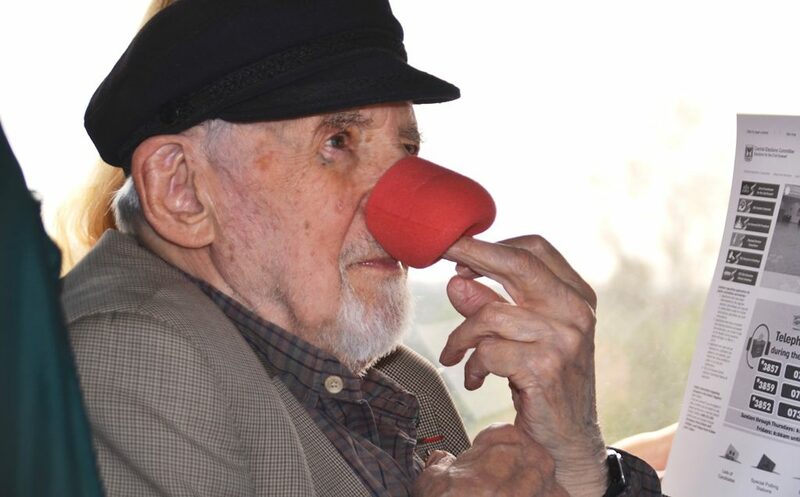 On the way home after the visit to the logistic center, loaded with pages of parties, spokespersons, and headquarters, Walter found a new use for his microphone cover. If there is no new government formed in 90 days, no clowning around, no joke, we get to do this again folks. No one I know wants the phone calls, survey questions, or negative campaigning. One good thing, it is only 90 days, and not two years of campaigning as in the US. 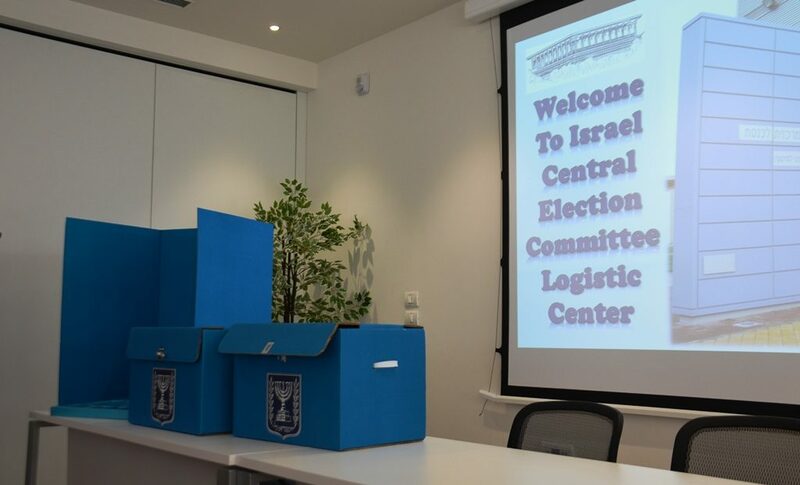 The Central Elections Committee has moved to the Knesset to count the ballots. With so many people still undecided, stay tuned for results. 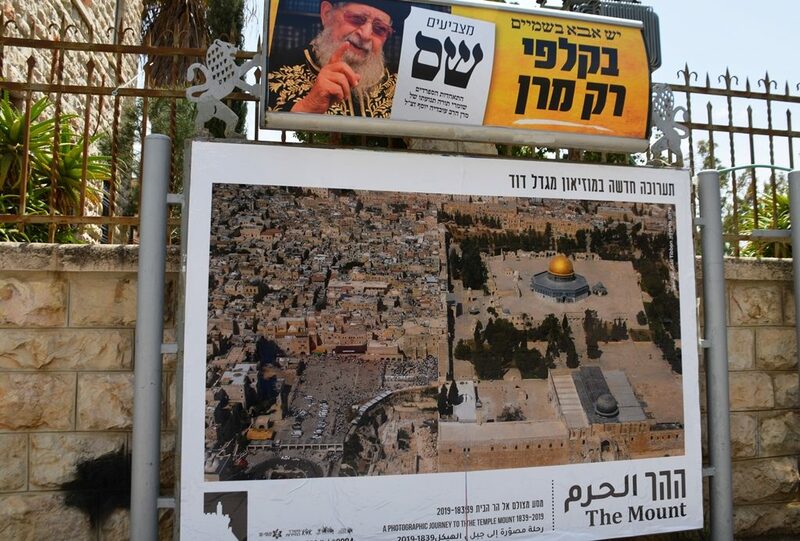 One sure thing, you never know what well happen next on the Jerusalem streets. And there they were ready for action. 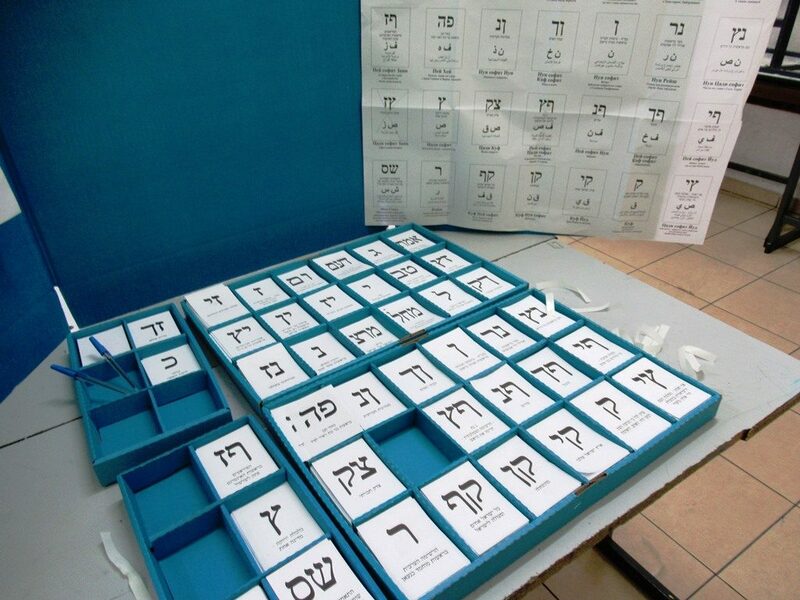 The paper ballots in aleph-bet order. So many as to be confusing. Random survey of people on street after voting, just happy for this to be over. It doesn’t get easier watching the elderly votes having to do those stairs! But they came to vote.